Simple answer - You can't. Cash only! This is true not only at the Add Value Machines, but also at the service desk and all other locations. 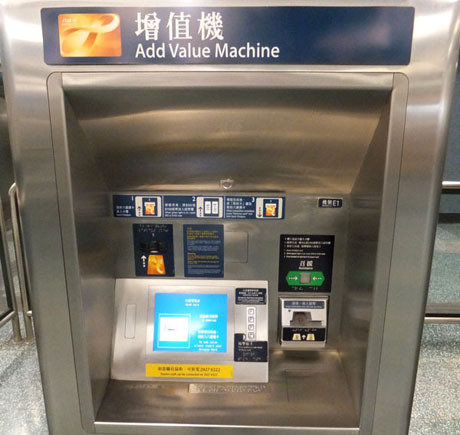 Longer Answer - It is actually possible to top-up an Octopus card using a credit card, but it can only be done using the "Automatic Add Value Service" (mirror), which is only available for customers of specific Hong Kong banks. Presuming that you are not a HK/Chinese resident, then this option is not available to you, so we're back to the Simple answer of "You Can't"
Not the answer you're looking for? Browse other questions tagged trains public-transport payment-cards hong-kong or ask your own question. How can I withdraw RMBs at Hong Kong airport (HKG)?